News this morning has highlighted the utter lunacy of the current state of the energy ‘debate’ in Australia, with Trevor St Baker, Chairman of Delta Electricity, calling on the government to pressure banks to keep lending to dirty power stations like the ones he owns. We need to push back on this and tell the banks to hold firm. 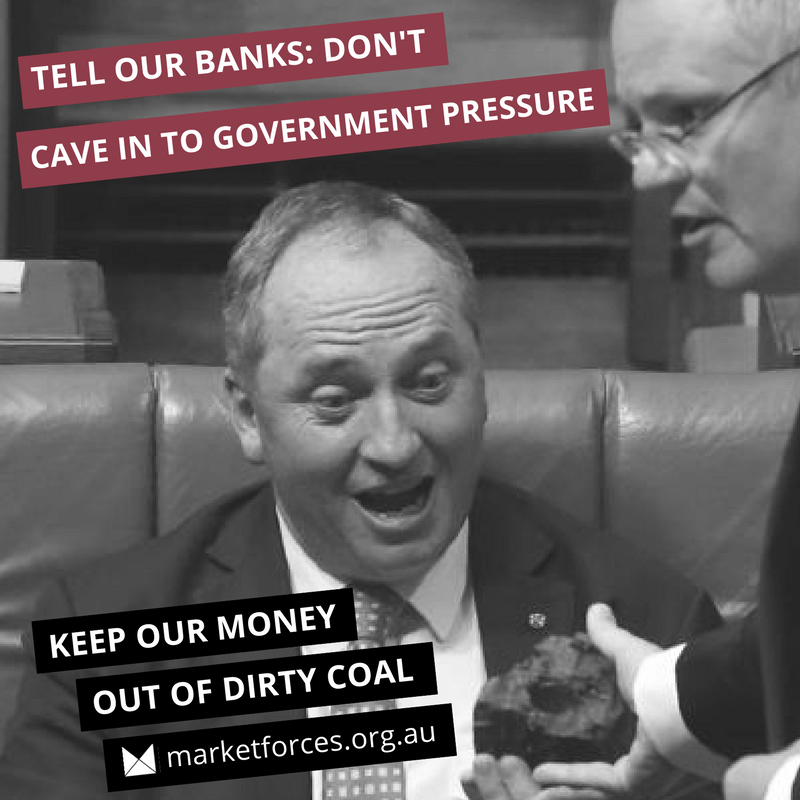 Use the form to send Australia’s big banks an email, demanding they refuse to issue loans that extend the dirty energy sector. As a community, we’ve worked hard to get to a point where the big banks won’t touch new coal projects. But loans to extend the lifetime of dirty energy dinosaurs would undo a lot of our good work. While we’ve pushed hard to get some improvements in the banks’ lending policies, their failure to categorically rule out lending to expand or extend the fossil fuel sector leaves them open to persuasion by our coal loving government and the uncaring owners of dirty power stations. TAKE ACTION! Use the form to tell ANZ, Commbank, Macquarie NAB and Westpac: hold firm and don’t finance the extension of the fossil fuel industry! Tell the big banks to resist government pressure, and rule out finance to extend dirty power!